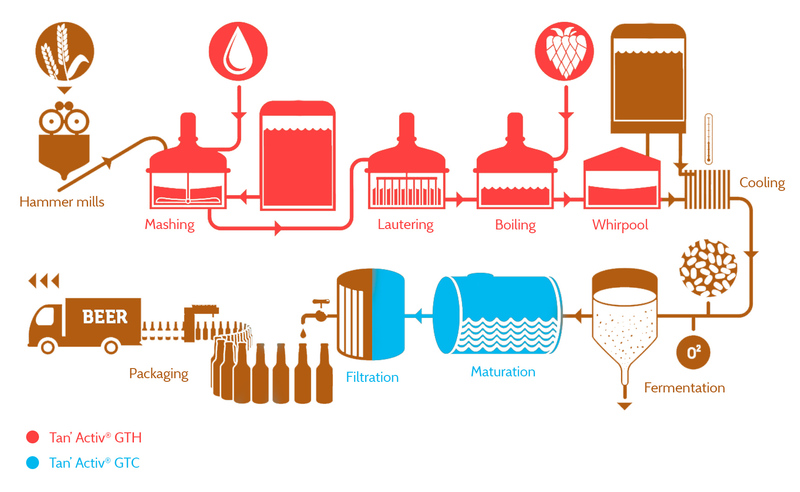 Tan’Activ® GT can be dosed at various stages of the brewery process. This subject to the objective of attaining more organoleptic stability, more colloidal stability, increased yields or a combination. Tan’Activ® GTC is the only processing aid that allows brewers to have a sharp filtration when using 100% perlite as Kieselguhr free filtration. Tan’Activ® GT can be dosed at a single stage or at multiple stages, depending on the objective to achieve colloidal, organoleptic and/or process yield improvement effects. The dosing rates should be adjusted in accordance with the use of possible adjuncts and subject to a single stage - or multiple stages dosage.